A Healthier You is a Better You was created to inspire everyone to become their healthiest through clean eating and exercise. Glycemic Index and Glycemic Load. What are they and why are they important? The Glycemic Index (GI) is a ranking system that tells you how carbohydrate-rich foods affect blood sugar (glucose). The lower the number assigned to a food, generally the better. This is because a low GI food is slowly digested, causing less of a spike in insulin. Producing less insulin may prevent diabetes, halt heart disease and help curb hunger, contributing in weight management. The scale goes from zero to 100 with pure glucose being ranked at 100. Foods that rank 70 and over are considered to have a GI index. In most indexes (there are some minor variation between lists) these include potatoes, refined white and wheat bread, raisins and other dried fruit. Foods ranked medium include most types of pasta, baked beans, yams, green peas, sweet potatoes, orange juice and blueberries. 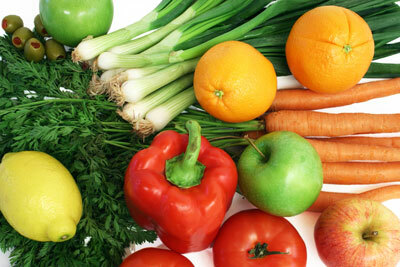 Low glycemic index foods include beans, cruciferous vegetables, yogurt, grapefruit, apples and tomatoes. Low glycemic eating is most efficient and natural way to lose fat. According to the Glycemic Research Institute, high glycemic carbohydrates store in the fat cells. The GI does not tell you how much carbohydrates are in a particular food, but the glycemic load (GL) does. The GL is a relatively new method that is often used in tandem with the GI. The GL considers the serving size of the food and calculates the number of carbohydrates in that particular serving of food. As a result, you have a more accurate means of predicting how the carbohydrates of a given food will affect your blood sugar. The GL is calculated by multiplying the GI value by the number of grams of carbohydrates, then dividing by 100. For example, if 1 cup of a food item provides about 10 grams of carbohydrates, and the GI of that food item is 49. That makes the GL of a cup of that item about 5, since 49 × 10 ÷ 100 = 4.9. It is important to do the calculation because simply looking at the number of grams of carbohydrates on a label can give you a false reading of how they will affect your blood sugar. Look here for an example of what I’m talking about. Look here to learn more about cruciferous vegetables. Look here for a chart of 100+ foods with their GI and GL levels. Look here to view the importance of reading and understanding the ingredients in our foods.